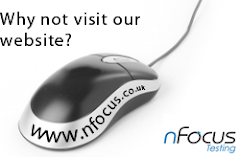 This month (October) nFocus will be hosting a Visual Studio 2012 Testing Launch Event in both Birmingham and London! This event will demo the valuable testing tools currently available within Visual Studio, as well as the new functionality available within the 2012 release. Following the sessions, we will be holding a drinks reception with canapés to celebrate the launch. The event also features Giles Davies, Developer Tools Technology Specialist from Microsoft.